The European Courses in Advanced Statistics (ECAS) are intended to achieve postgraduate training in special areas of statistics and addressed for (especially 1st-year) PhD students, researchers, teachers at universities, and professionals. The ECAS2019 on Statistical Analysis for Space-Time Data, takes place in Lisbon, Portugal, on 15-17 July 2019, and is a great opportunity to attend four courses lectured by renowned experts in the field: Adrian Baddely (Curtin University, Australia), Patrick Brown (University of Toronto, Canada), Liliane Bel (AgroParisTech, France), and Haavard Rue (King Abdullah University of Science and Technology, Saudi Arabia). See https://ecas2019.math.tecnico.ulisboa.pt/ for further details or contact ecas2019pt@gmail.com. A poster session with contributed papers will complement the scientific program, but participants can attend the courses without presentation of posters. School of Computer Science and Statistics at Trinity College Dublin, is pleased to host the 39th Conference on Applied Statistics in Ireland from Wednesday 15th May to Friday 17th May, 2019 in the Ballymascanlon House Hotel Golf and Leisure Club located a short distance (2 miles) north of Dundalk. Co. Louth See www.casi.ie for further details. Invited speakers include Dr. Louis Aslett (University of Durham), Prof. Simon Wood (University of Bristol), Prof. Richard Samworth (University of Cambridge), Prof. John Quigley (University of Strathclyde), and Prof. Ruth King (University of Edinburgh). Early bird registration opens: Monday January 28th 2019. Early bird registration closes: Monday April 15th 2019. Call for papers opens: Monday January 28th 2019. Call for papers closes: Friday March 22nd 2019. 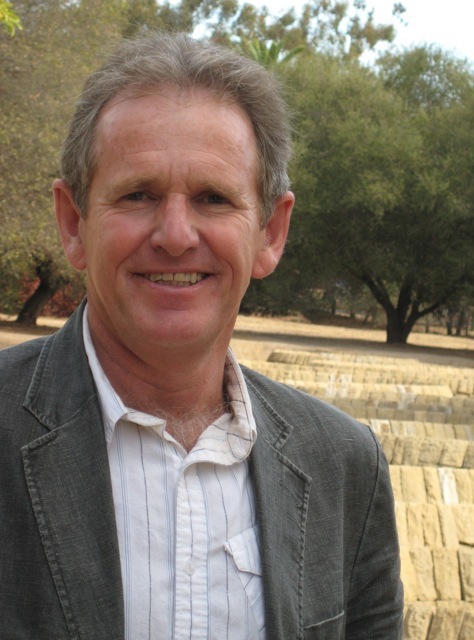 The ISA Gosset lecture 2018 will be delivered by Professor Trevor Hastie (Stanford University) in the Royal Irish Academy, 19 Dawson St., Dublin on Thursday 13th December at 6:00pm. Abstract: As our ability to gather and store data improves, we are faced with the task of analysing these ever-growing mounds of information. This has required Statisticians to gain computing and database skills, and Engineers and Computer Scientists to learn statistical modelling and data analysis. The result is a data scientist, one of the hottest job-descriptions in the tech world. In this talk I will give some examples of big data and data-science challenges, and explore some approaches in detail. In the event of over subscription, admission will be on a first come first served basis on the night. The ISA sponsored workshop "Frontiers in Functional Data Analysis" will bring together the international acclaimed founder of functional data analysis Prof. James O. Ramsay and leaders in this field in Ireland to present and discuss recent progress in FDA, and to identify important challenges for the future. Dr Michelle Carey (UCD) will also deliver a 2-hour masterclass on parameter estimation for differential equations using semi-parametric penalized regression. The workshop will take place on Friday March 9th 2018 from 9am-5pm at O'Brien Centre for Science, University College Dublin, Belfield, Dublin 4, Dublin. Register your attendance at the following link: registration (note that registration is free). Closing date for registration is February 1st 2018. The course is intended to achieve postgraduate training in special areas of statistics for both researchers and professional data analysts. The focus is on classification and clustering methods, in conjunction with related visualization techniques, with particular emphasis on modern high-dimensional data sets (MHDS). MHDS have recently emerged because of the fast improvement in data acquisition, storage and processing. The availability of massive data sets are of large interest also in machine learning, data science and computer science. It applies in many contexts such as biological experiments, financial markets, astronomy, etc. Classification and clustering play a key role in this new paradigm to discover the inhomogeneous structure often underlying these data, and become consequently even more emblematic methods of modern data analysis. Starting from basic concepts, the course will introduce the audience to novel techniques and software through extensive applications to real data. The ISA sponsored short course "Imprecise Probability - A Gentle Overview" will be delivered by Cassio P. de Campos (Reader, Centre for Data Science and Scalable Computing, Queen's University Belfast) and Alessandro Antonucci (Senior Researcher, Swiss AI Lab IDSIA). Hosted by Trinity College Dublin, the course will take place on Tuesday November 14th 2017 at 9.00am in the Yeats Suite of the O'Callaghan Mont Clare Hotel, Merrion Street Lower, Dublin 2. Registration (which includes coffee breaks and lunch) is €20 for students and €30 otherwise. There is also a 50% discount for ISA members. More details can be found at http://stats50.scss.tcd.ie/#/isa. To register for this course, please email wyseja@tcd.ie. Attendees are also invited to attend the celebration of the 50th year of the Statistics Department at Trinity College Dublin taking place afterwards.